On the Appalachian Trail, most hikers pack a stove and cook at least one meal per day. I was no different. However, the size, weight, and quality of these items can vary widely across the numerous brands within the market. Some have fancy piezo starters, built-in pots, or welded-on windscreens to add to their list of features designed to entice customers — but rarely are those overweight accessories a necessity. The crux of lightweight hiking is to strip down your kit down to only the bare essentials to achieve exactly what you need at the lowest possible weight. When I was researching gear for my 2018 thru-hike, I wanted to cut as much weight as possible while while having the best quality gear I could afford. In the months leading up to my start date, I spent a considerable amount of time looking into various stove options and the three below were constantly jockeying for the top spot among forums, ratings, and former thru-hikers. 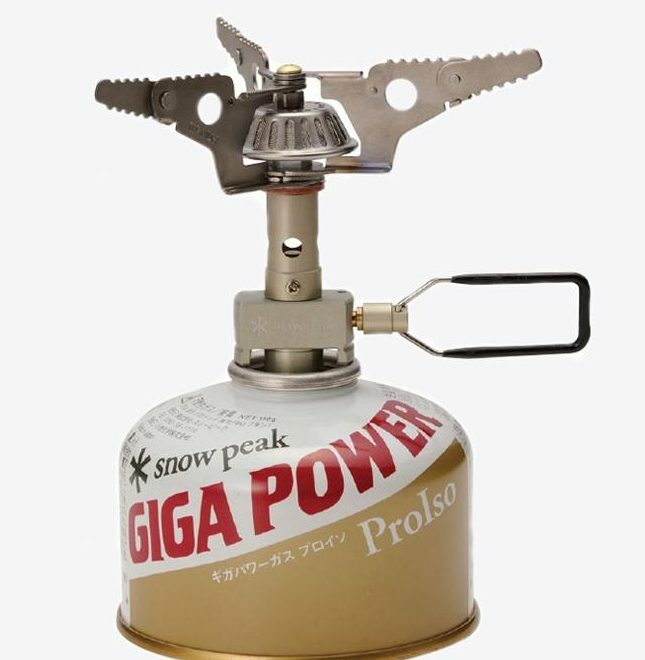 While arguments can be made for going stoveless or using alcohol stoves on the trail, a vast majority of hikers use canister (isobutane) stoves because they are reliable, efficient, and fuel is readily available all along the trail. 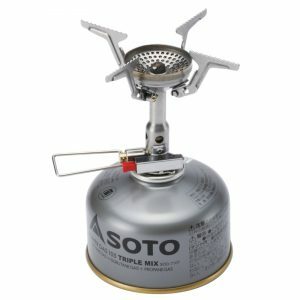 Here are the top 3 ultralight canister stoves I came across in my research and experience on the AT. MSRP: $59.95 – Currently 25% off at Moosejaw.com! 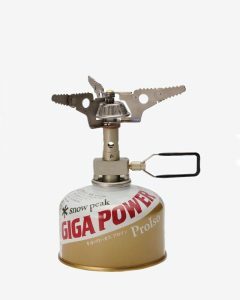 Snowpeak is known in the ultralight community as a purveyor of well-built and powerful stoves. Indeed, this is the model I used during my own my thru-hike, and I thoroughly enjoyed it. I had no issues whatsoever and it fired up on the first try every night. It’s lightweight (obviously), packs down to fit inside a small pot, and the build quality is exceptional. The downside of this stove, though, is that it retails for nearly $60. However, I saw many of these being sold second-hand (check lwhiker.com for listings) and I was able to get one for less than half price by buying from a former thru-hiker. Because of the sturdy build, these stoves will last much longer than a single thru-hike and you never have to worry about it failing. I plan to use mine for many trips to come. This stove has been around for a couple of years and continues to garner high praise. 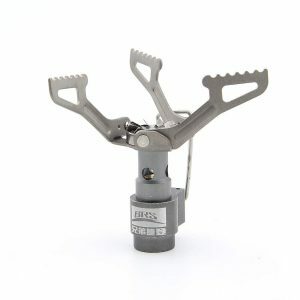 While not as lightweight as the LiteMax, it contains an igniter (also available without) and a unique crown-shaped burner which dramatically increases its performance in windy conditions. While I didn’t experience too many windy nights during my own thru-hike, there were several occasions where I used a makeshift windscreen to block some of the airflow and make for a more efficient boil. Not a problem with the Amicus. This stove hits all the good points by having a lightweight and compact profile, an extremely reasonable price, and lots of clout within the ultralight hiking community. The only downside of this stove that I can see, and I’m splitting hairs here, is that it includes an igniter which provides an additional point of failure and makes the stove slightly overweight compared to others in its class. If you go with the version that does not have the igniter it’s still slightly heavy (2.7oz) but it’s tough to beat on affordability and quality. If I didn’t already have a LiteMax, or if I decide to get a second/backup stove, I would be hard pressed not to go with this one. This stove is a true oddity. “Ultralight” and “inexpensive” usually don’t mix unless quality is lacking, but this stove continues to be recommended by tons of hikers all over the Internet. Hiker Darwin reviewed it on his YouTube channel and claimed that it didn’t feel “cheap” and also boiled water faster than the LiteMax (his favorite stove). While I haven’t used the BRS stove myself, it’s hard to ignore the fact that it weighs less than an ounce and outperforms one of the best stoves on the market while costing a fraction of the price. My hesitation with this stove is that it tends to be finicky and unreliable while having questionable longevity. According to reports, if you are lucky enough to get a “good” one it works very well–but for how long? Because of its inconsistent performance, I would only recommend this stove if you’re looking for an extremely inexpensive and lightweight device but don’t need to rely on it working long-term. Or, if you’re only doing section hikes or weekend overnighters, this could be a great way to get on the trail for next to nothing. Just know that it’s hit or miss on the quality. 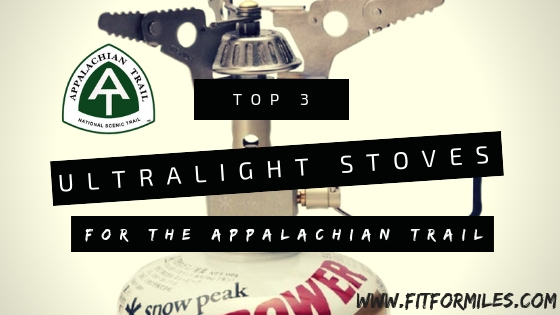 The three stoves I have mentioned here are all excellent choices for the Appalachian Trail in their own ways. While not the cheapest options (with the exception of the BRS stove), they are very lightweight, compact, and (generally) reliable devices as evidenced by tons of reviews and online chatter from reputable hikers. Because of the Appalachian Trail’s length and the extensive abuse one’s gear endures during a thru-hike, the best advice is to choose the highest quality stove you can afford so that you never have to worry about it failing when you need it most. Which stove did you decide to go with? I'M HIKING THE APPALACHIAN TRAIL!